Today, several technologies and management strategies are proposed and applied in wastewater treatment plants (WWTPs) to minimise sludge production and contamination. In order to avoid a shifting of burdens between different areas, their techno-economic and environmental performance has to be carefully evaluated. Wet oxidation (WO) is an alternative solution to incineration for recovering energy in sewage sludge while converting it to mostly inorganic residues. This paper deals with an experimentation carried out within the EU project “ROUTES”. A mass balance was made for a WWTP (500,000 person equivalents) in which a WO stage for sludge minimisation was considered to be installed. Both bench- and full-scale test results were used. Design of treatment units and estimation of capital and operational costs were then performed. Subsequently, technical and economic aspects were evaluated by means of a detailed methodology which was developed within the ROUTES project. Finally, an assessment of environmental impacts from a life cycle perspective was performed. 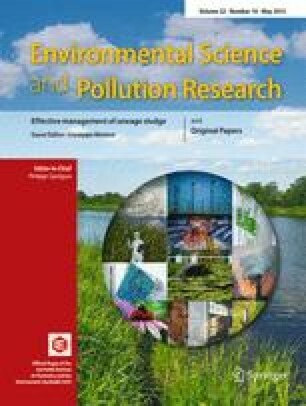 The integrated assessment showed that for the specific upgrade considered in this study, WO technology, although requiring a certain increase of technical complexity at the WWTP, may contribute to environmental and economic advantages. The paper provides guidance in terms of which aspects need a more thorough evaluation in relation to the specific case in which an upgrade with WO is considered. This project has received funding from the European Union’s Seventh Programme for research, technological development and demonstration under grant agreement no. 265156. All authors participated with text in relation to their contribution to the study: Giorgio Bertanza and Matteo Canato carried out the techno-economic assessment. Giuseppe Laera was responsible for mass balance calculations. Sara Heimersson and Magdalena Svanström carried out the environmental assessment. Roberta Salvetti and Edoardo Slavik conducted WO full-scale tests and calculated capital and operating costs of the WO unit. ROUTES - Novel processing routes for effective sewage sludge management: http://eurotes.org/index.php?option=com_content&view=article&id=50&Itemid=28. Accessed 03rd March 2014.